Scott Billups, A Part time poker player from Virginia is leading the world series of poker circuit at Harrah Atlantic with total 286,700 chip counts. 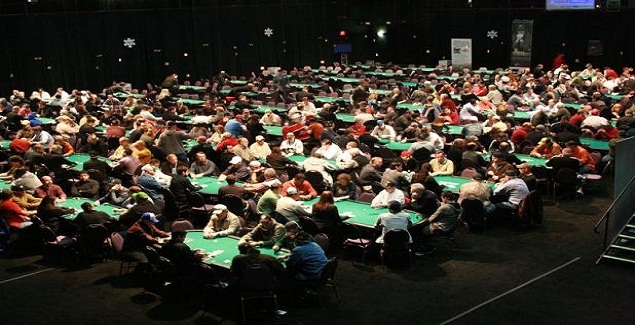 The event#5 of $365 buy in No Limit Hold’em attracted 216 entries on day 1 a and B ,whereas another 286 players joined the event on Day 1C, it means the total number of entrants to this particular event is 484 now, which generated a prize pool of amount $145,200. 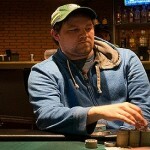 Top 54 player’s finalist of the event would be paid and the winner is expected to receive $31,216 as first prize. 67 players remained out of total 484 on Day 2 of the game which includes Clatyon Jiang(61,300), Menan Saydam (124,000 and seat#2), Matthew Levin(37,800, seat#3), Edward Shade(78,900), Donald Bauer(76,900, seat#4), Kenneth Taylor (39,200), Scott Rosmarin (29,700 and seat#8), Pej Niyati(190,000), Trevor Deeter (42,900), and Vito DiStefano(97,800 for table#12 and seat#3). Sundiata DeVore(91,800), Stephen Scales(64,600, for table#12 and seat#6), Clyde Small (29,900),Vinny Pahuja ( winner of many WSOP cashes is leading with total (56,300 chip counts), Daniel Stabb (31,800), and Vincent Palmeri with 39,600 chip counts. Scott Billups (286,700 points and allocated for tables #14 and seat#7), Tomasz Gliniecki( with total 103,500 chip counts and is alloted table#15 and seat#7), William McGrotty(107,800). David Costain is at 44th position with total 130, 80 chip counts and is allotted table#35 and seat#1, meanwhile Khalid Ali is alooted table#35 and seat#2 and he has total 179,200 chip stacks with him. Robert Sichelstiel is at table#35 and is at seat#6 with total 9101,200 chip counts, Johanssy Joseph is not behind the leader Billups and he has 240,600 chips with him and was allotted the seat#8 of table#37.